I gently usher people into the underground river of their greater story, so that they may surrender to their soul’s deepest longing. I help people embrace their sacred gifts and live a life of creative service. I support people in rediscovering their deeper belonging to the greater Earth community, and in engaging in the largest conversation they are capable of having with the World. I guide programs for the Animas Valley Institute as well as my own Wild Yoga™ programs and local offerings based out of Durango, CO. Click on Animas Programs to see my Animas Valley Institute program schedule, or Wild Yoga Programs to learn more about my Wild Yoga programs. Join the Wild Yoga mailing list for updates. 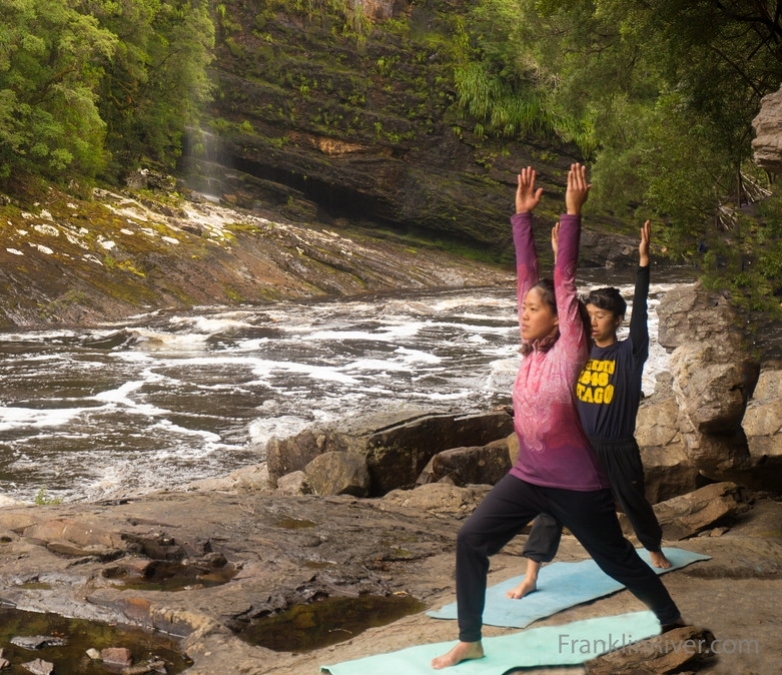 Find out about the nature and creation of Wild Yoga. Learn more about Rebecca Wildbear. A river soul journey that combines yoga, dreamwork, conversations with the more-than-human world, deep imagination, and a week-long journey through Desolation Canyon. Down the Green River in Desolation Canyon, Utah. Read the Preface now to learn how cancer opened my consciousness and how Wild Yoga was inspired by a conversation with a tide pool. Trainings for professionals to learn how to cultivate their innate human wholeness, based on Bill Plotkin’s newest book Wild Mind: A Field Guide to the Human Psyche. These trainings invite you to discover your untapped potentials and depths. A gentle 20-minute vinyasa practice that invites each of the four directions through a series of yoga poses and movement flows. Honor the seasons and cycles of nature while cultivating your wholeness. This practice welcomes all levels. Make it easier by skipping some of the movements or harder by adding more challenging poses. Make the practice your own: follow the urgings of your own body.